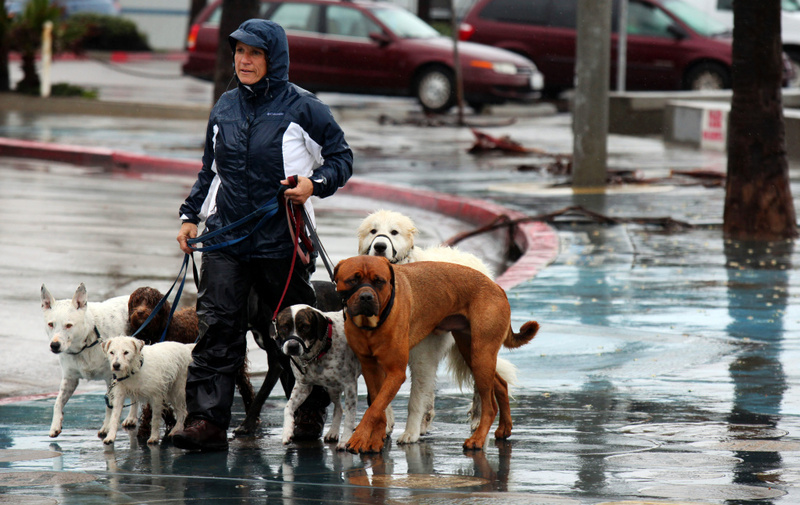 Dog Walker Dorothy Agius-Bennett takes pets for a stroll. It’s no secret that living in Southern California is expensive. Many folks work full-time jobs in addition to side gigs to make ends meet. As part of a new audio series, Take Two wants to hear what you’re doing to earn extra cash. For this project, we’re hoping to hear about uncommon and even unconventional jobs. That doesn’t necessarily mean the job has to something weird or particularly impressive; maybe it’s simply something you never thought you’d find yourself doing. Maybe you perform a task that you didn’t expect to enjoy. Maybe you hate it. Whatever your side hustle, we want to know about it.